I am very happy to announce that the Pizzuti Collection has acquired three works for the permenant collection. Thrilled to be part of this fantastic collection. 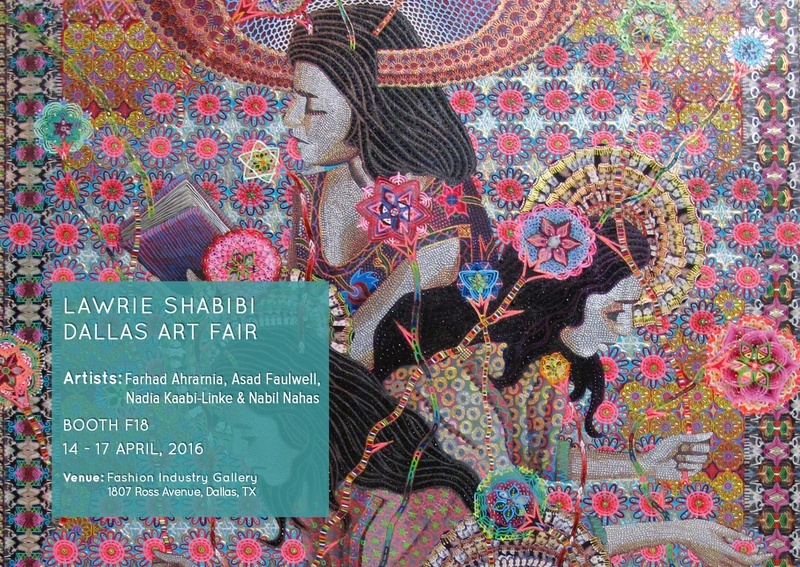 I am excited to announce my third solo show at Lawrie/Shabibi Gallery in Dubai. The show will open March 18th shortly before ArtDubai and will feature six new pieces. I have a new piece in "Untitled" at Kravets/Wehby in New York. 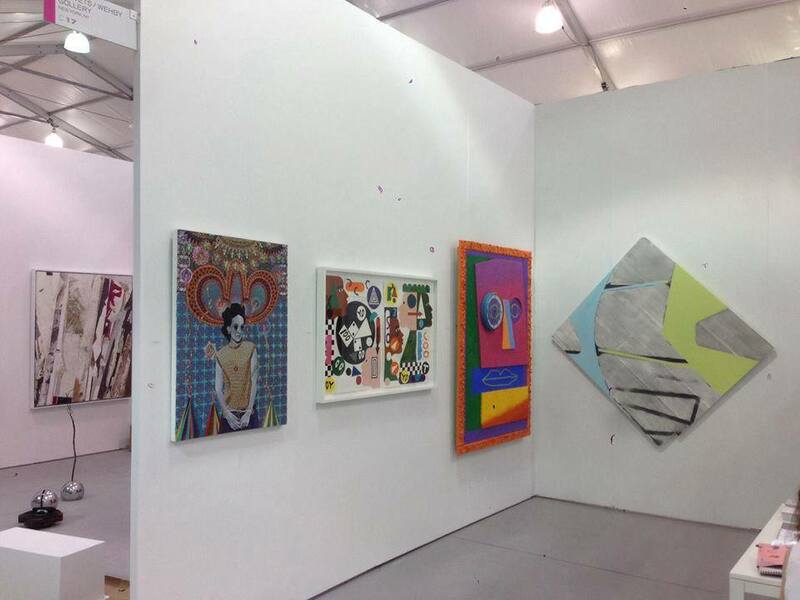 Other artists in the show are Sydney Chastain-Chapman, Damien Davis, Manuel Esnoz, Stan Narten, and Allison Zuckerman. 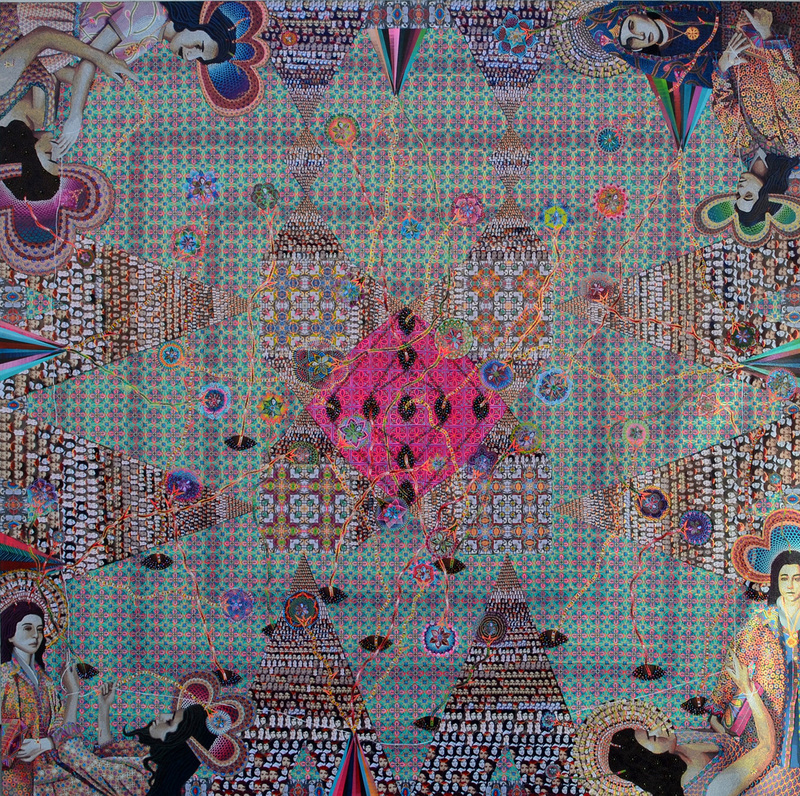 I am very happy to announce that the UC- Santa Barbara Art, Design & Architecture Museum has a acquired my lithograph "Djamila" for the permenant collection. 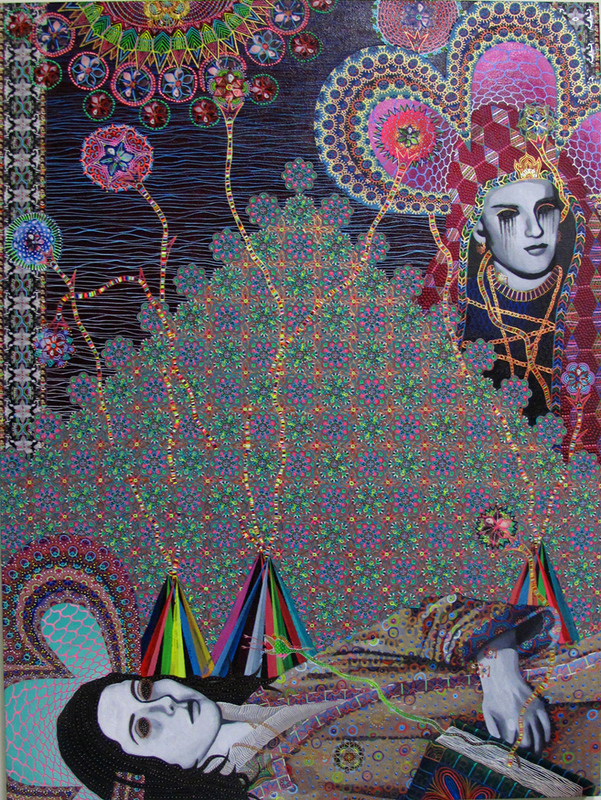 My lithograph "Djamila" has been acquired for the permenant collection by The Ulrich Museum of Art in Wichita, KS. 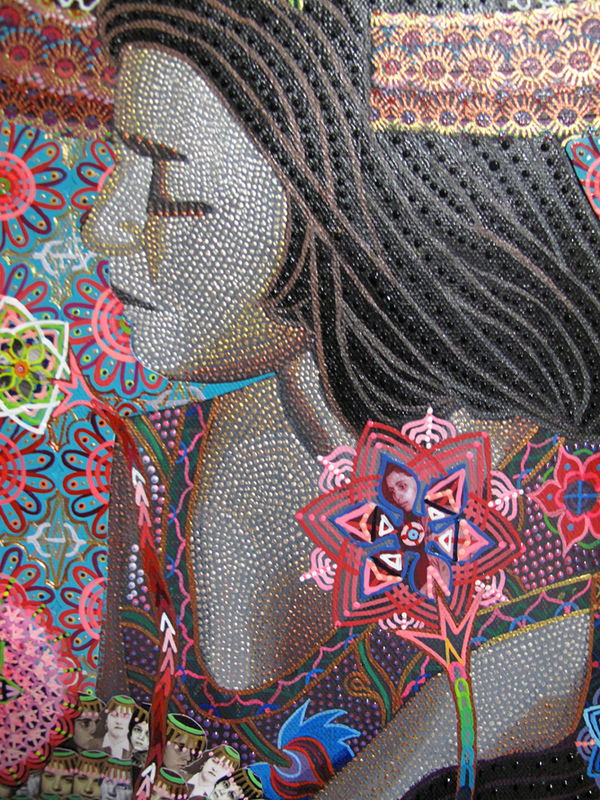 "Djamila" was produced with Bedrock Art Editions in Kansas City, MO. 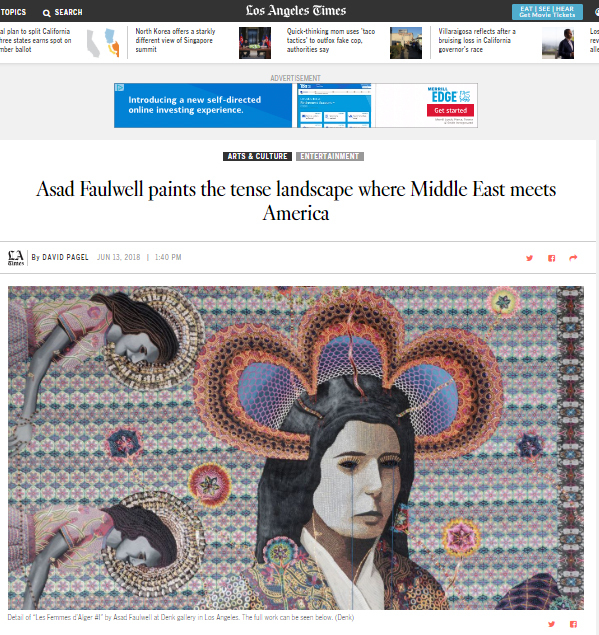 A fantastic article by David Pagel on my work and practice in the LA Times. "In The Fields of Empty Days" has been reviewed for the L.A. Times by Christopher Knight. My solo show "Phantom" will open at Denk Gallery on June 2nd from 6-8 pm. The show features eight new pieces and will run through July 7th. I will have a piece in "Unexpected Encounters" at The Nelson-Atkins Museum of Art. The exhibition is a sampling of works acquired by the museum over the last ten years. The show opens on June 2nd and runs through August 12th. 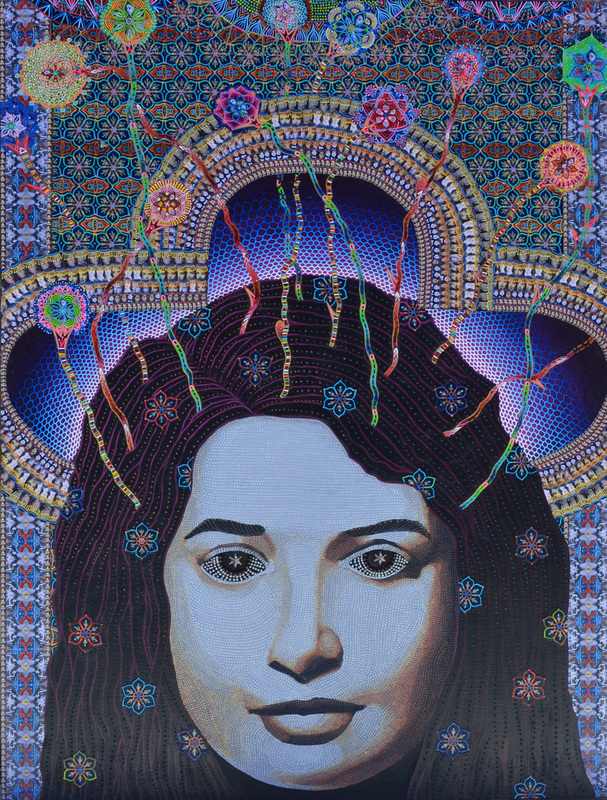 My recently completed lithograph "Djamila" has been purchased by The Nelson-Atkins Museum of Art. 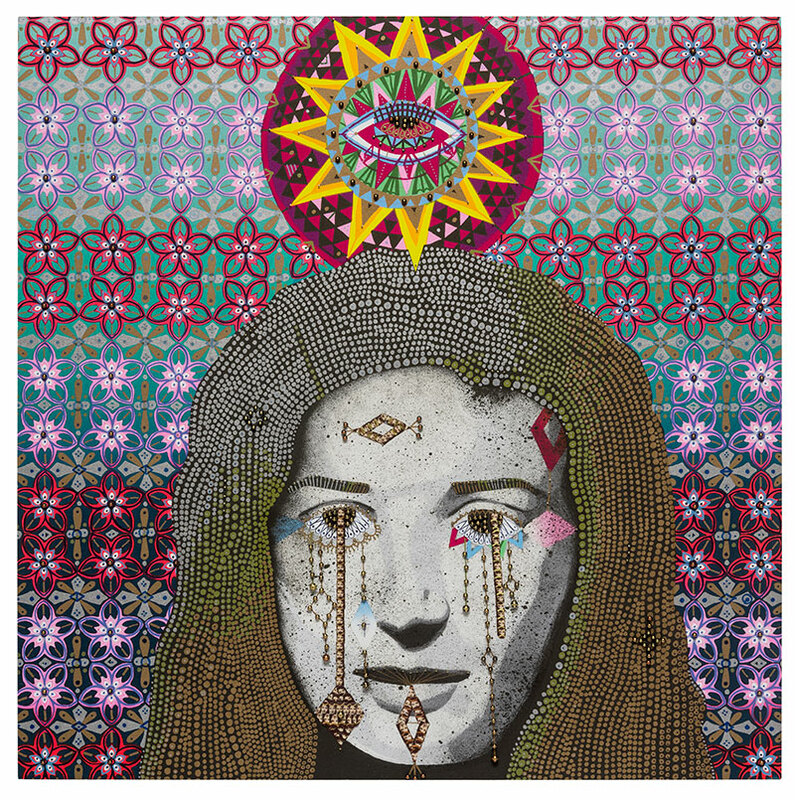 "Djamila" is a 21 plate variable edition lithograph made in collaboration with Bedrock Art Editions. I am thrilled to have the piece included in the collection of the Nelson-Atkins. I have a couple pieces in the inaugural group show at Neumann/Wolfson Art in New York. 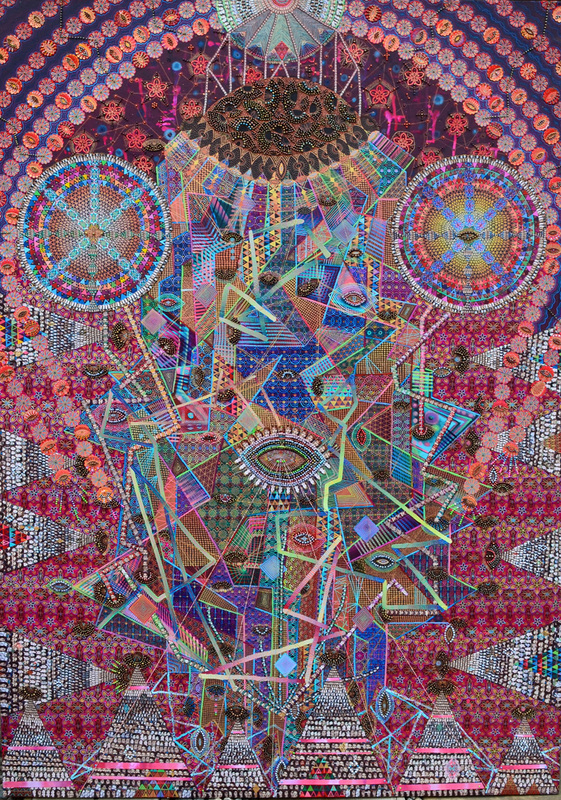 Other artists in the show are Kristin Baker, Michael Bevilacqua, Alison Blickle, James Busby, Sydney Chastain-Chapman, Justin Craun, Ben Edwards, Kristina Neumann, Naomi Okubo, Matthew Ronay, Charlie Roberts, Justin Samson, Tom Sanford, Kenny Scharf, Christian Schumann, Aya Uekawa and Kelli Williams. I have a couple small works in Hi-Res at Kravets Wehby Gallery in New York. The show which also features work by Alison Blickle, Allison Zuckerman, Sydney Chastain-Chapman, Wendell Gladstone, Aya Uekawa, Jamea Richmond-Edwards, Stan Narten, and Tylonn Sawyer opened on June 7th and will run through the end of July. I will have work in the Lawrie Shabibi booth at the Dallas Art Fair. 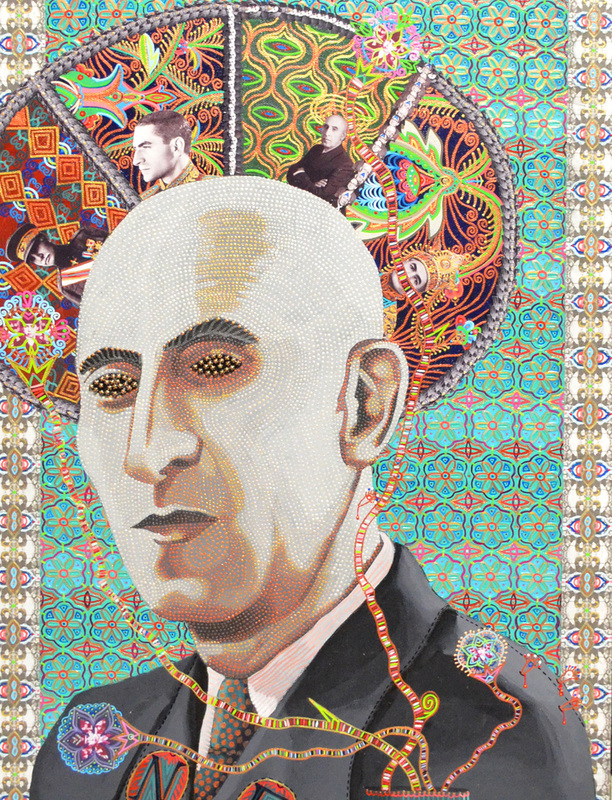 The booth will also include work by Mounir Fatmi, Nadia Kaabi-Linke, Nabil Nahas, Shahpour Pouyan and Farhad Ahrarnia The fair runs from April 6-9. I will have a piece loaned by Kansas City art collector Rod Parks in The Collector's Room at Epsten Gallery in Overland Park, KS. 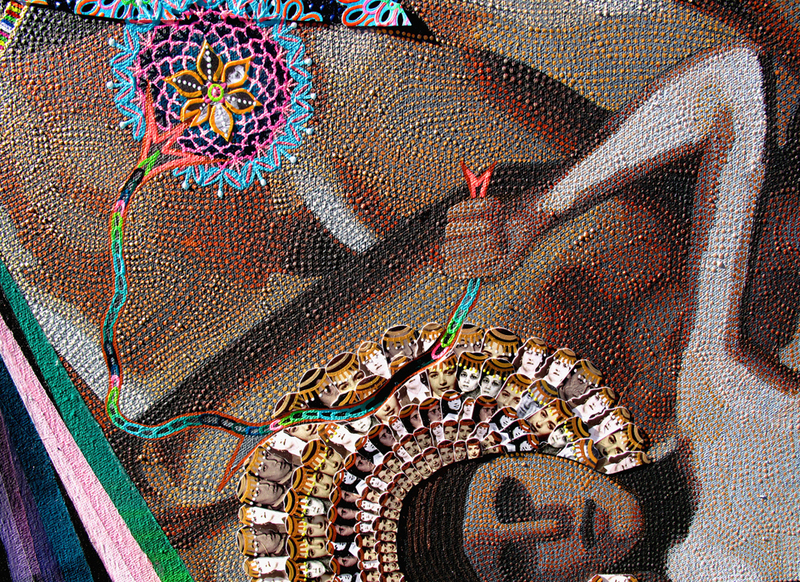 The show features works borrowed from several Kansas City area collections. Artists included in the show are Thomas Hart Benton, Ian Davis, Ruud Van Empel, Asad Faulwell, Robert Parke Harrison, Shi Jian, Brad Kahlhamer, Joyce Kaplan, Hendrik Kerstens, Hung Liu, Kerry James Marshall, Jim Sajovic, Allison Schulnik, Irma Starr, Sam Taylor-Johnson, and Kehinde Wiley. The show opens February 12th and runs through April 9th. I am very pleased that Pillars:Iran is now part of the permanent collection at LACMA. The piece will also be included in a group show at LACMA opening in 2018. My 2nd solo show with Lawrie/Shabibi Gallery in Dubai will open January 9th and run through February 4th. The show features new work made over the last year. For more information check out Lawrie/Shabibi's website. 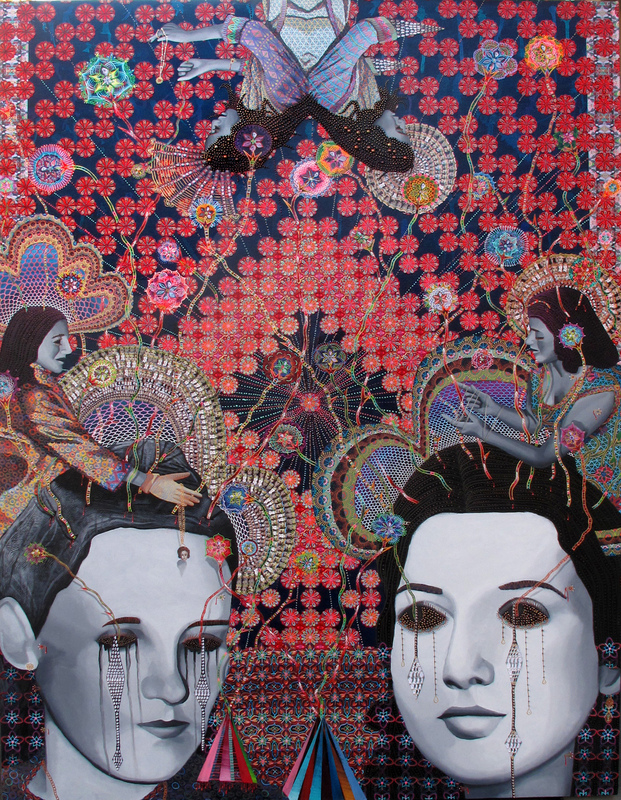 I have a piece in Collaboration at SMC's Barrett Art Gallery in Santa Monica. The show is curated by Kirk Pedersen and featured work from every artist who has had a book published by Zero+ Publishing. 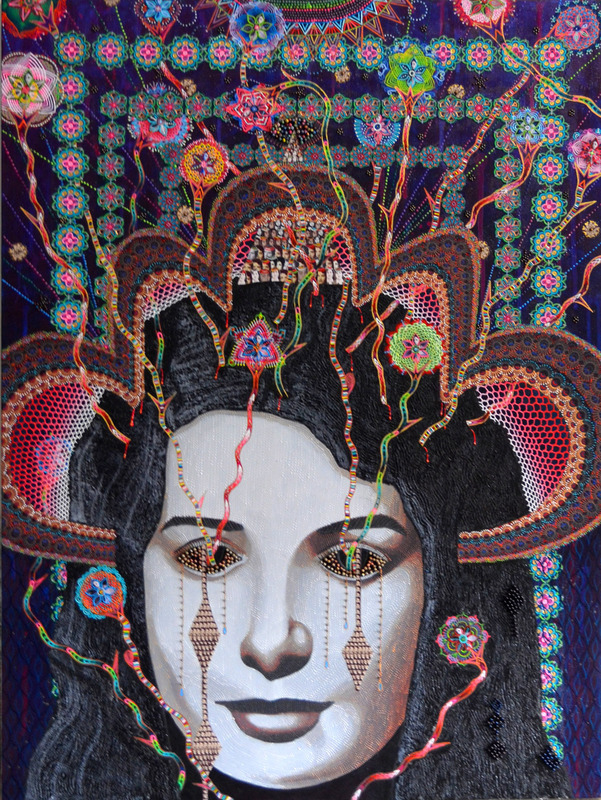 Works by Lisa Adams, Jeff Alu, Chaz Bojorquez, Fatemeh Burnes, Roman Cho, Cryptik, Dabs Myla, Craig Deines, Eyeone-Raymundo T. Reynoso, Michael Falzone, Asad Fauwell, Blaine Fontana, Lawrence Gipe, Wendell Gladstone, Mercedes Helnwein, Andrew Hem, Yumiko Kayukawa, Augustine Kofie, Nathan Ota, Kirk Pedersen, Shark Toof, Jophen Stein, Edwin Ushiro, Sage Vaughn, Mark Dean Veca, Mark Whalen, Tatiana Wills & Tavar Zwacki are included in the show. I have a couple new pieces in "Unseen" at Lawrie/Shabibi Gallery. The show opened in May will run through September 10th. 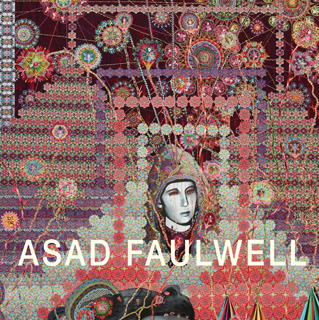 Artists featured in the exhibit are Adel Abidin, Farhad Ahrarnia, Asad Faulwell, Driss Ouadahi, Nathaniel Rackowe and Shahpour Pouyan. 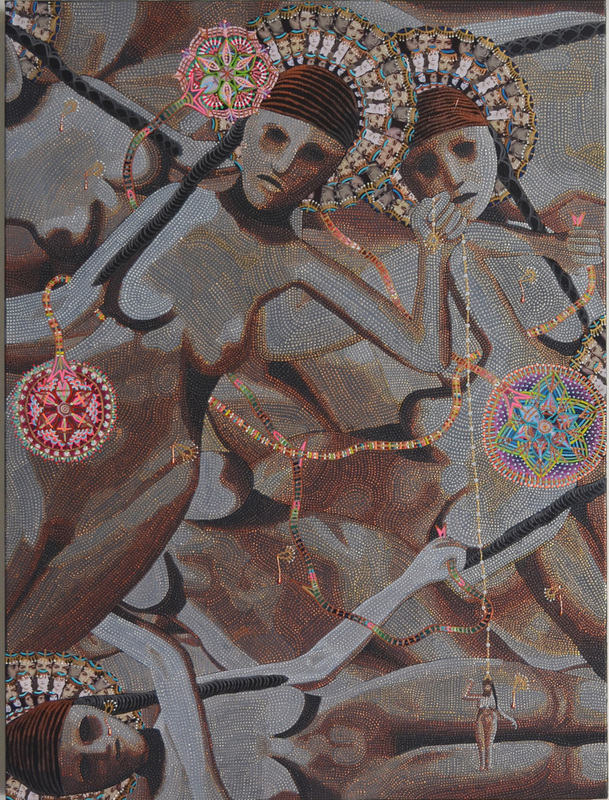 I have a new piece in AftermoderisM at Nicole Ripka Gallery in Watermill, NY. The show was organized by Neumann/Wolfson Art and features work by over 30 artists. The show opened July 2nd and closes September 4th. Very pleased to announce I will be having a solo show at Bill Brady Gallery in Kansas City, MO. The show opens April 8th and feature 8 new works made over the last 15 months. I will have two pieces in the Lawrie/Shabibi Booth (Booth F18) at the Dallas Art Fair. 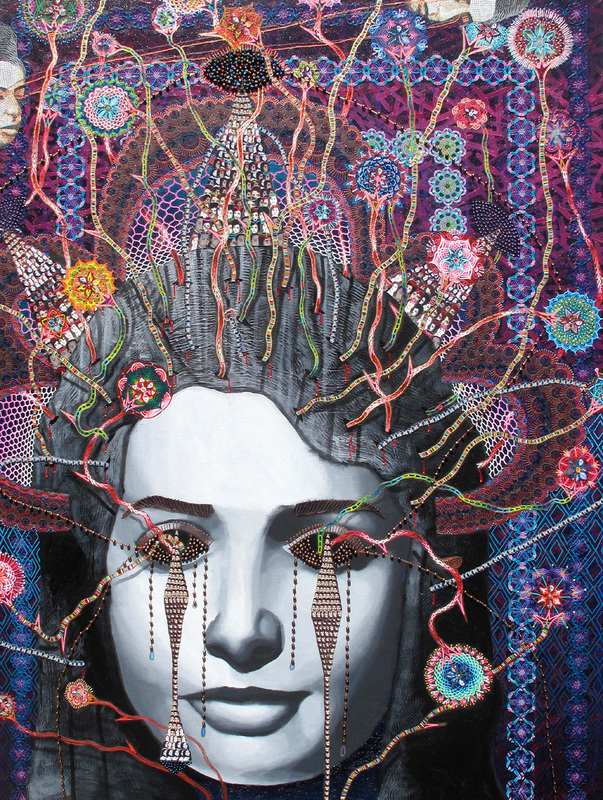 The booth will include work by Farhad Ahrarnia, Asad Faulwell, Nadia Kaabi-Linke and Nabil Nahas. The fair opens on the 14th of April and runs through the 17th. 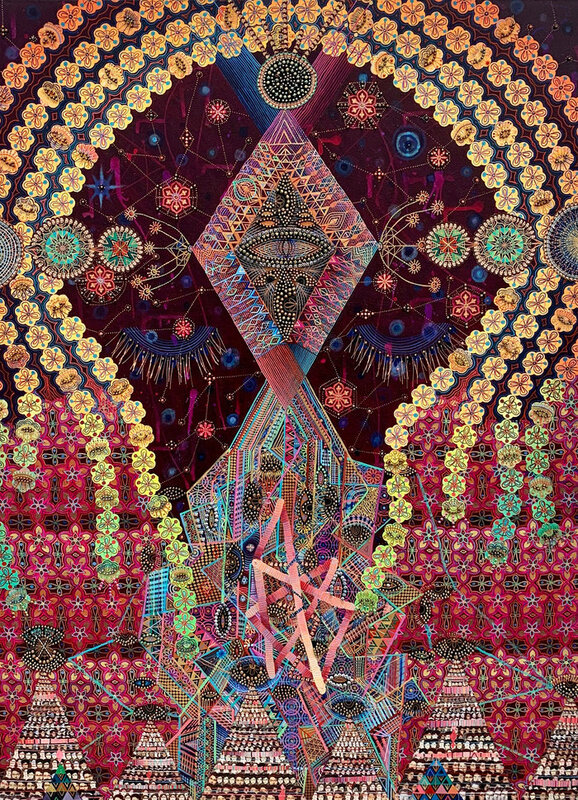 I have a new pice in "Sensorium" at Kravets'Wehby Gallery in New York. The show features work by Michael Bevilacqua, Matthew F. Fisher, Michael Van Den Besselaar, Asad Faulwell, Aya Uekawa, Tom Sanford, James Busby and runs from January 16 - February 20, 2016. 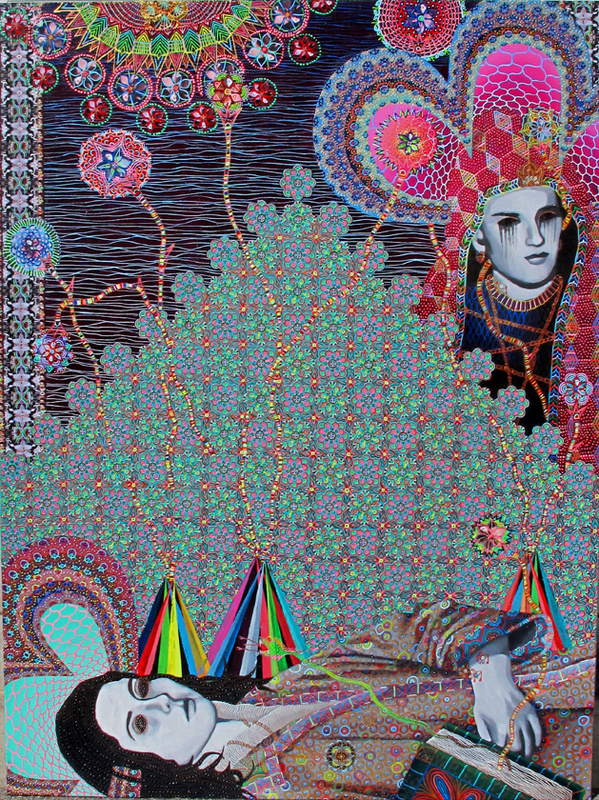 Very happy to have Les Femmes D'Alger #52 in The Oppenheimer Collection at Nerman MOCA. The painting is 72" x 180" and will be included in my forthcoming solo show at Bill Brady Gallery before heading to its permenant home at The Nerman. I will have a piece in the Bill Brady Gallery booth at NADA in Miami Beach. The fair opens on the 3rd and runs through the 5th of December. I will have a piece in the Lawrie/Shabibi Booth at Art Dubai along with Hamra Abbas, Adel Abidin, Shaikha Al Mazrou, Nadia Kaabi-Linke, Nabil Nahas, Nathaniel Rackowe and Mona Saudi. I am very happy to have a piece in Misappropriations:New Acquisitions at OCMA. The show features a selection of works recently acquired by the museum and is curated by Dan Cameron. 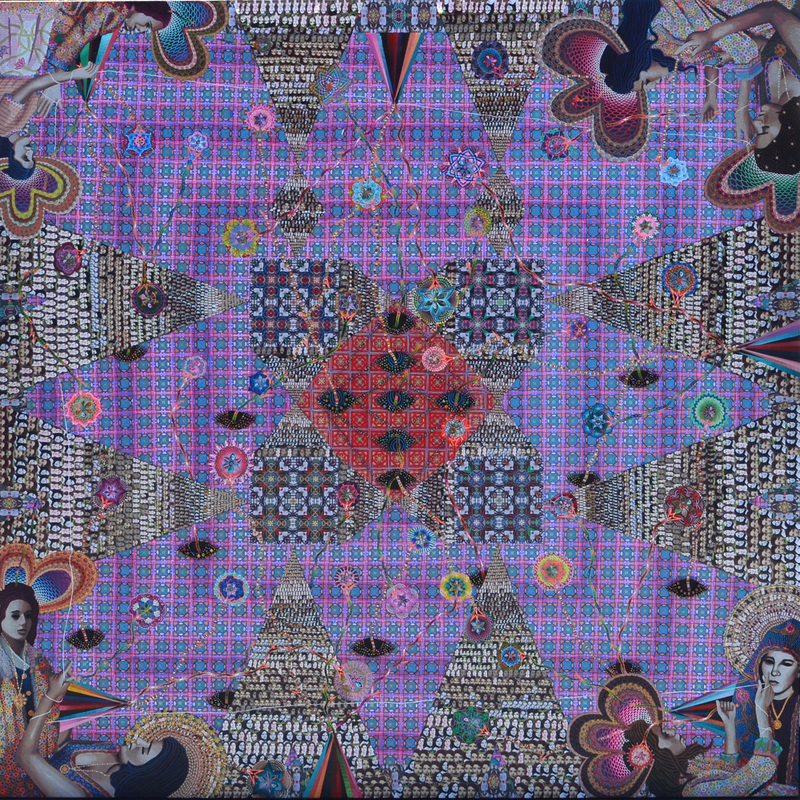 Other artists in the show are Abetz/Drescher, Ricci Albenda, Edgar Arceneaux, Libby Black, Mari Eastman, Ala Ebtekar, Jim Lambie, Rodney McMillian, Jason Middlebrook, Kristen Morgin, Cady Noland, David Rathman, David Scher, Ed Templeton, Jeffrey Vallance, and Millie Wilson. The show opens February 15th and closes on May 24th. An article about my work in Algerian newspaper El Watan by Faten Hayed. 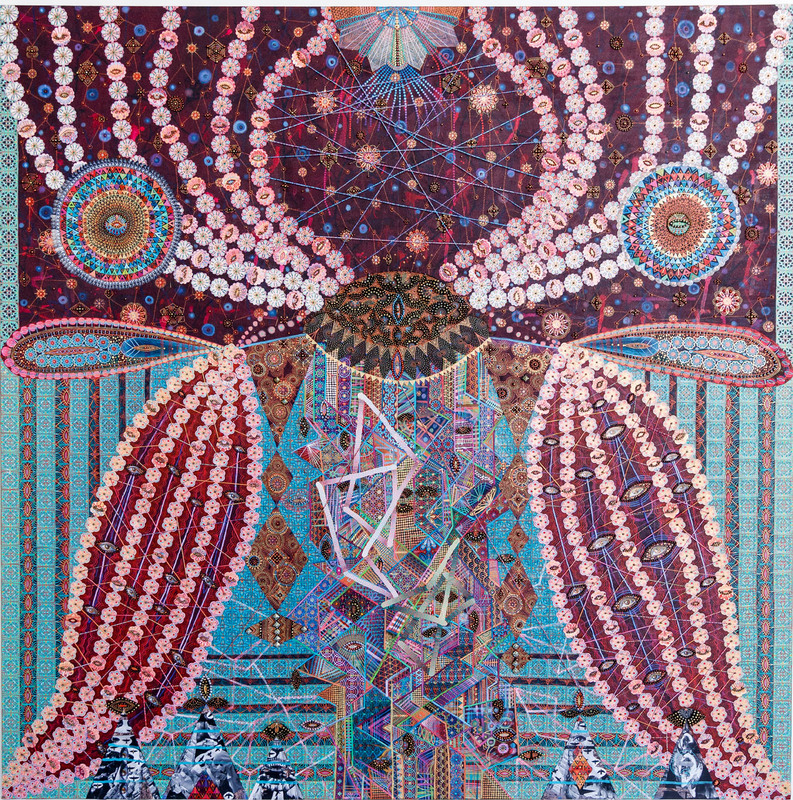 My solo show "Obelisk Movements" opened last Thursday at Kravets/Wehby Gallery in New York City. The show will be open until November 19th and features six pieces done over the last 10 months. This is my third solo show with Kravets Wehby and first since May of 2012. I have a small piece in a group show at Edward Cella Art and Architecture in Los Angeles. The show opened Saturday September 20th and will run through November 22nd. 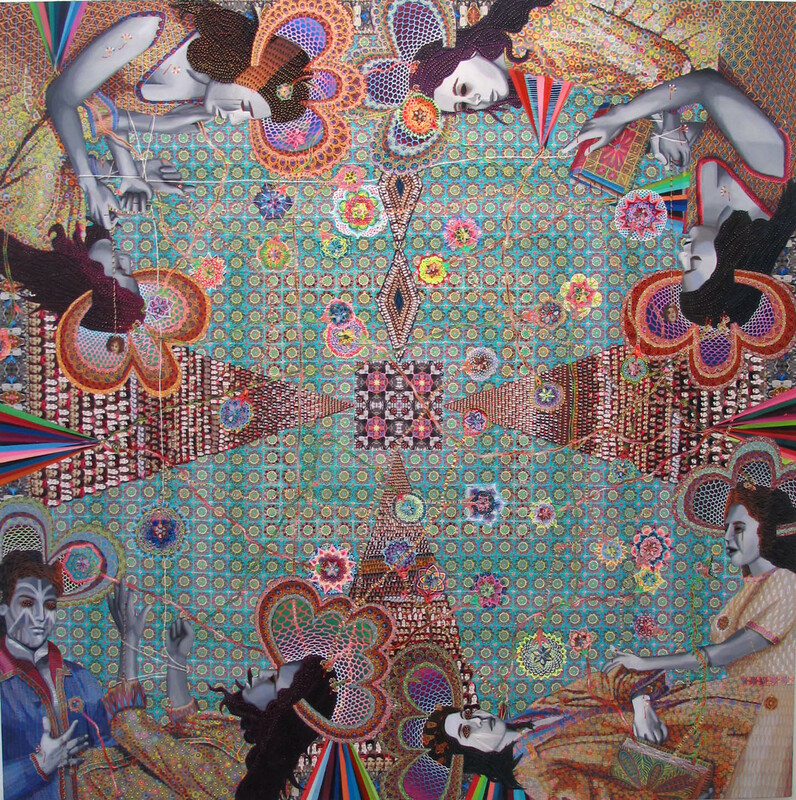 A wonderful article by Katherine Brooks of The Huffington Post about my Les Femmes D Alger series. I was recently interviewed by Yetkin Nural of Bant Mag. I am very happy to announce that Les Femmes D'Alger #37 is now a part of the permanant collection at The Orange County Museum of Art. The piece was acquired by the museum last month. 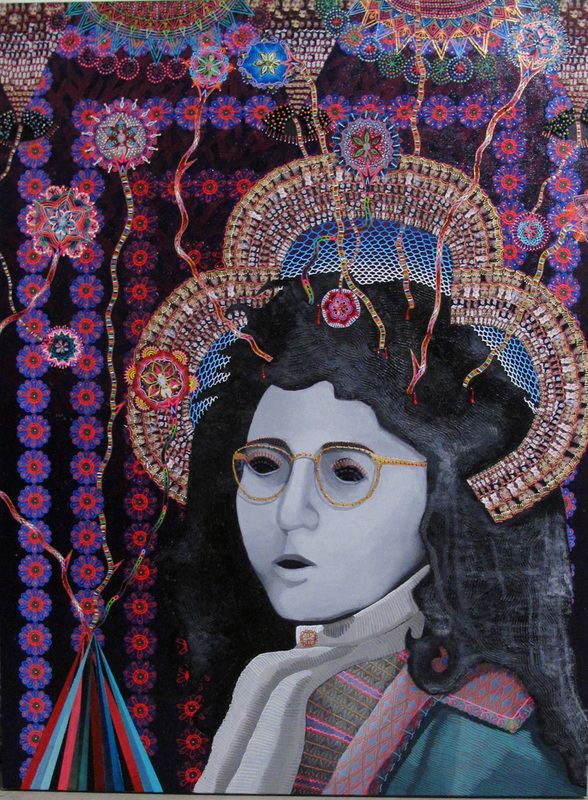 I have a new piece in "People Staring" at Kravets/Wehby Gallery. The show opened June 5th and will run through July 5th. If your in New York this summer stop by and check it out. In addition to my work the show features new works by Alison Blickle, James Busby, Sydney Chastain Chapman, Stan Narten, Charlie Roberts, Justin Samson and Devan Shimoyama. 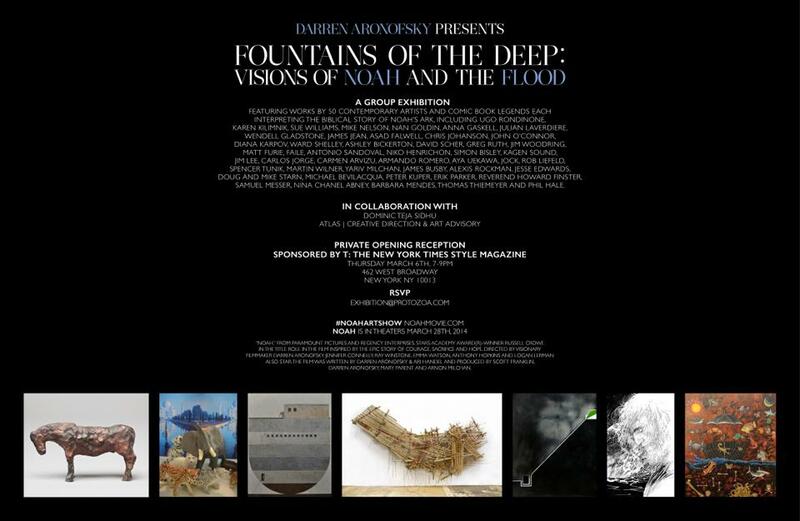 I will have work in Fountains of the Deep curated by Darren Aronofsky. The show opens March 7th in NYC and features work by over 50 artists. I will be having my first international solo show Bed of Broken Mirrors at Lawrie/Shabibi Gallery. The show will be opening January 11th and closing in March. 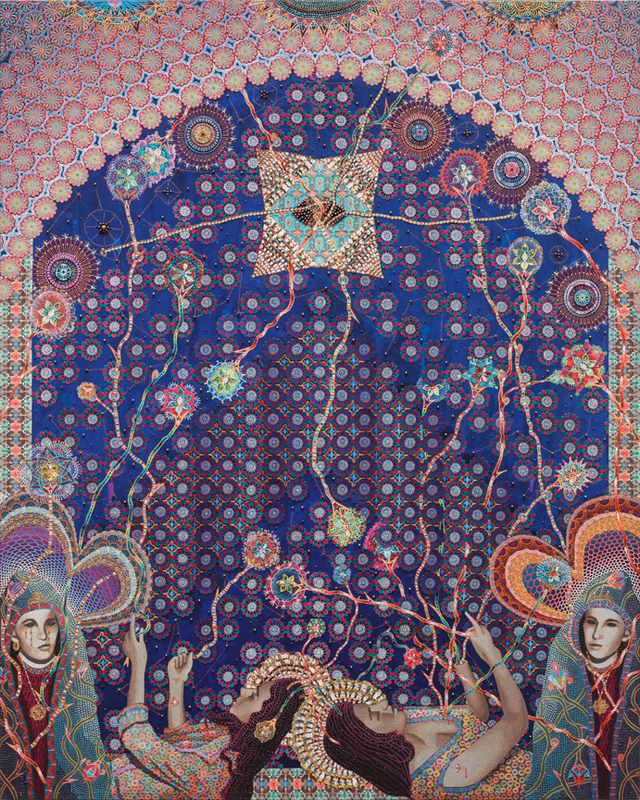 Check out this amazing article in Harper's Bazaar Art by Steff Sykes on the work of Amir Fallah and myself. This issue also has a full page preview of Bed of Broken Mirrors. I will have a couple pieces up in the Kravets/Wehby booth at the UNTITLED Art Fair in Miami. The work will be up December 4th - 8th. 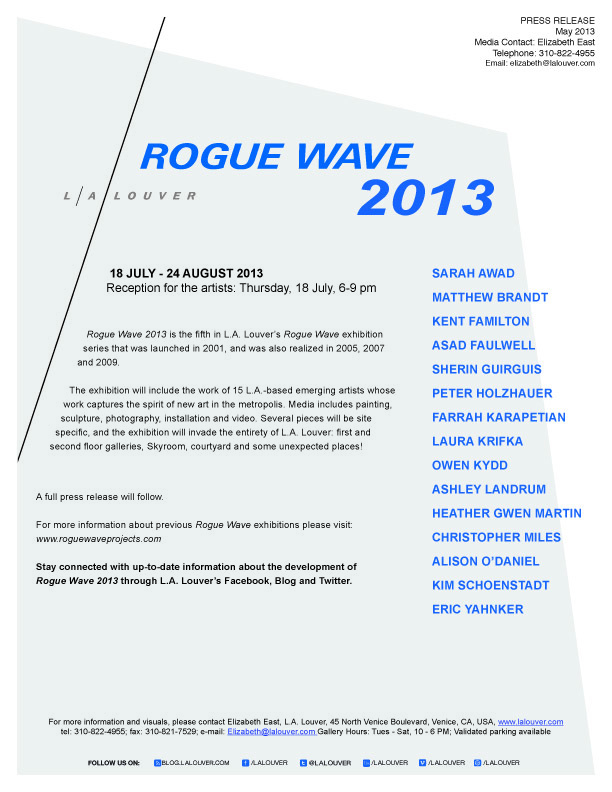 I will have work in Rogue Wave '13 at L.A. Louver opening July 18th and running through August 24th. 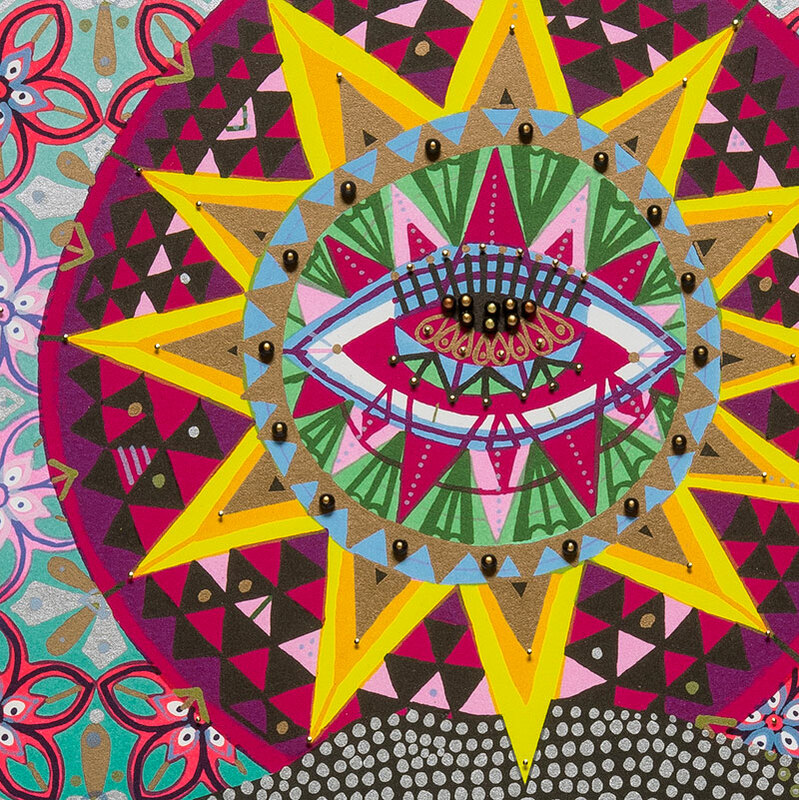 The show will include work by 15 L.A. based artists. Sarah Awad, Matthew Brandt, Kent Familton, Asad Faulwell, Peter Holzhauer, Sherin Guirguis, Farrah Karapetian, Laure Krifka, Owen Kydd, Ashley Landrum, Heather Gwen Martin, Christopher Miles, Alison O'Daniel, Kim Schoenstadt and Eric Yahnker. 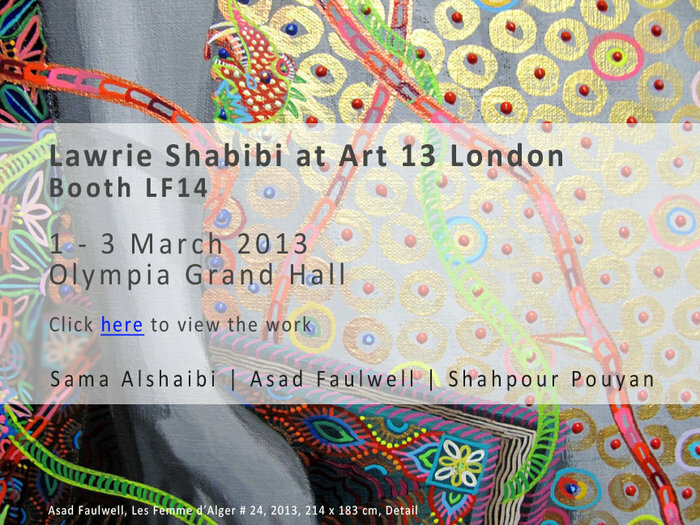 I have new work up at the Lawrie/Shabibi booth at Art13 in London. The booth was named one of the 10 best at the fair and got a ton of press. I will have several pieces in a two person show with Chris Johanson at The Nassau County Museum of Art opening March 9th. The Nassau County Museum of Art is located in Roslyn Harbor, NY just outside of New York City. I have a small piece in About Face at ACME Gallery. The show is curated by Daniel Weinberg and runs from November 17th-December 22nd. I will have work in Chockablock at The University Art Museum in Long Beach. The show is curated by Kristina Newhouse and runs from January 26th - April 15th.